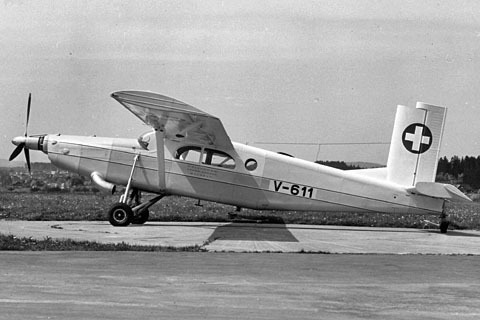 V-611 had an engine blow on 22-Aug-63 on the Tschiervaglacier. 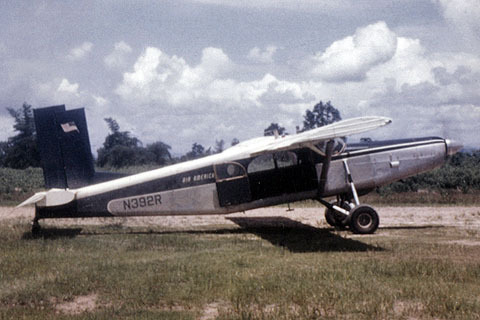 The aircraft had been disassembled and lifted out on 26-Aug-63 with Agusta-Bell 204B HB-XBO. Because of problems during one of the rotations with a single wing the load had to be disengaged. 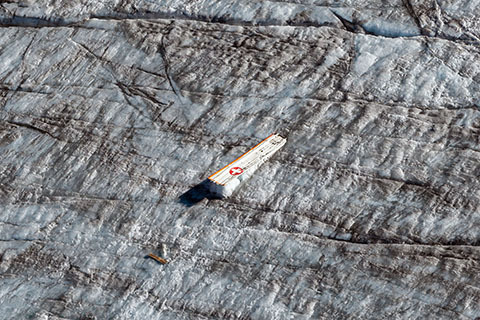 The wing ended up in a crevasse on the glacier, impossible to lift out. 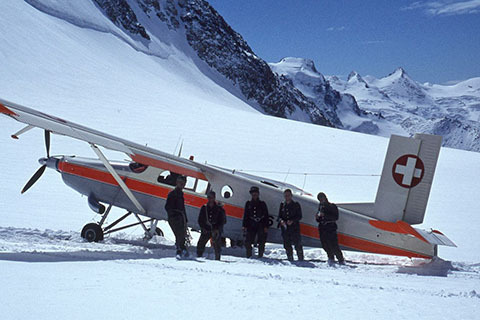 The PC-6 had been repaired and fitted with a new wing by Pilatus. 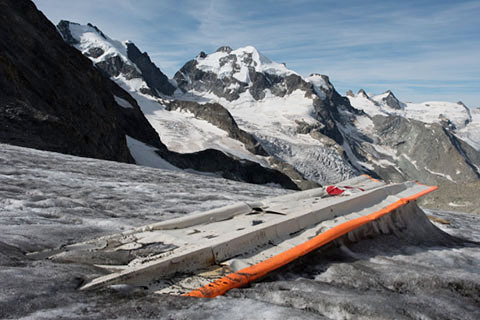 52 years later, the glacier released the lost wing ! !